On Friday park officials shared video of dozens of blacktip reef sharks serenely swimming close to the beach—images unimaginable just weeks ago as tourists jostled for selfies on the white sand. 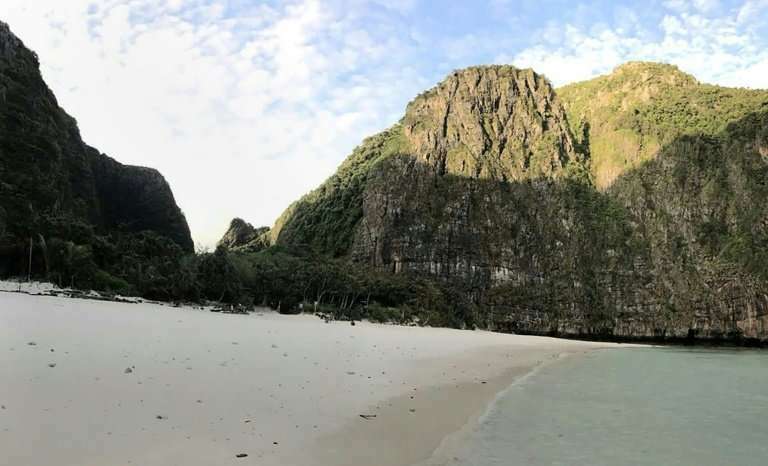 "It's a good sign that Maya Bay has changed and that change is positive," the post added. A Thai marine biologist prominent in the campaign to close Maya Bay hailed the shark video as "beyond imagination, unbelievable". "How do I feel? Tearful," Thon Thamrongnawasawat said in a Faceboook post. "At the beginning I never thought (the rehabilitation) would be as good as this in only six months." "The reef will take a longer time to recover," an official from the National Park, Wildlife and Plant Conservation Department said requesting anonymity. 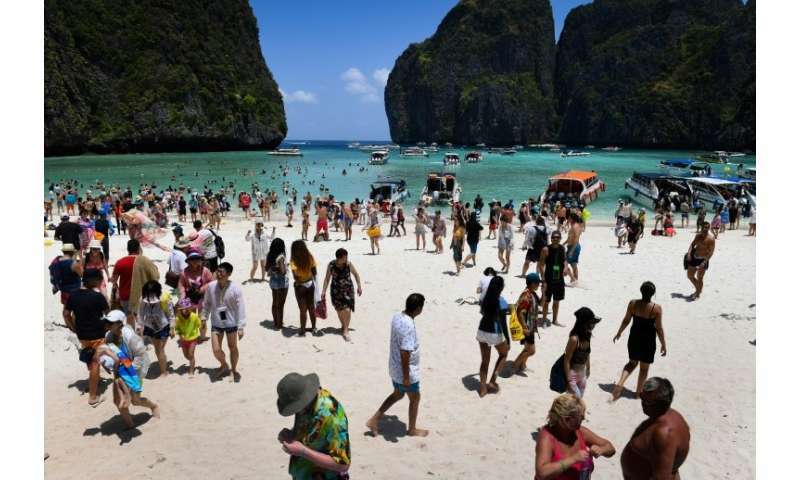 Thailand's idyllic beaches are under increasing strain from huge numbers of tourists and accompanying development in remote and fragile ecosystems. Many flock to the town of Krabi where boat trips carried visitors to nearby islands replete with opportunities for snorkelling and selfies—among them Maya Bay.